Famous All Blacks, creative artists, hip-hop and opera singers – the Tongan community has had a major impact in New Zealand since they began to arrive in numbers in the 1960s. Tongans come from a scattered group of islands in the South Pacific. They have brought a strong Christian faith and a deep loyalty to their extended family. In the 1960s they began to arrive as factory workers, and large numbers settled in the 1970s and 1980s. 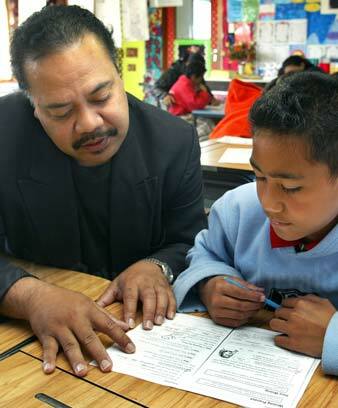 By 2013 there were over 60,000 Tongans in New Zealand, and three-fifths of them had been born there. Most Tongans have settled in Auckland. Although they have lower incomes than many New Zealanders and live in overcrowded housing, they continue to support their family and community, both in New Zealand and in the islands. People gathering at large Methodist churches, women making tapa cloth, and children attending Tongan preschools show the Tongan community’s determination to keep alive their culture in New Zealand. The extended family also places great importance on attitudes such as sharing, respect and obedience. These are a vital part of anga faka-Tonga – the Tongan way. Yet many younger Tongans no longer speak the Tongan language. Instead they identify with other Pacific Islanders. Particularly in Auckland, these young people are developing an exciting blend of Pacific Island cultures, in their dress, their slang and their hip hop music.